Yelp trusts Fastly’s edge cloud platform to provide delightful, secure, and scalable experiences for its millions of users. 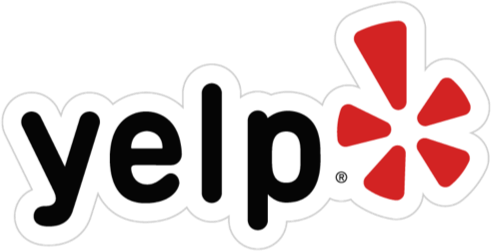 Yelp is a website and mobile app that connects people with great local businesses. By the end of 2016, Yelp had about 89 million unique monthly visitors on mobile and 73 million unique monthly visitors on desktop, and Yelpers across 32 countries had written over 121 million reviews. 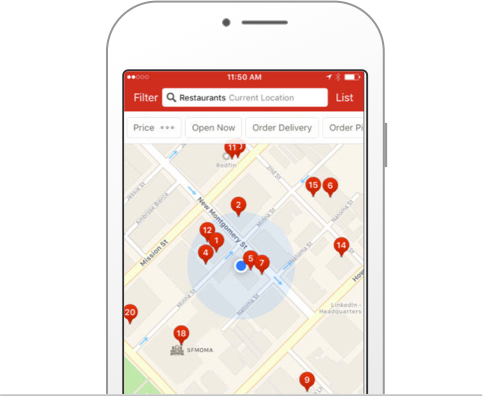 In 2015, Yelp acquired Eat24, a premier online food ordering service, serving over 40,000 restaurants in over 1,500 cities. As the go-to destination for millions of consumers across the globe, Yelp needs to ensure fast, secure, and delightful experiences for its growing customer base. Content delivery is core to their business strategy — it’s critical that Yelpers are able to access the latest nearby business reviews in real time so they can make decisions on everything from where to get their car repaired to which doctor to choose. 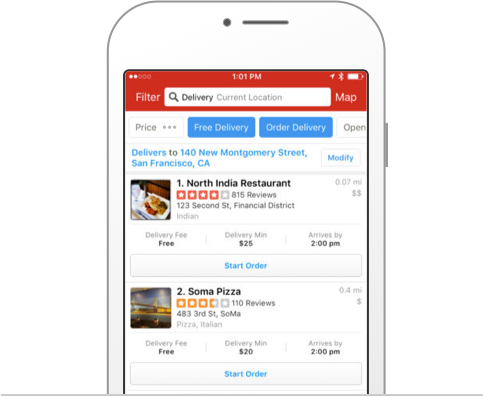 Yelp and Eat24 rely on Fastly’s edge cloud platform to help ensure consistent, secure, and personalized experiences that scale globally across mobile and desktop. 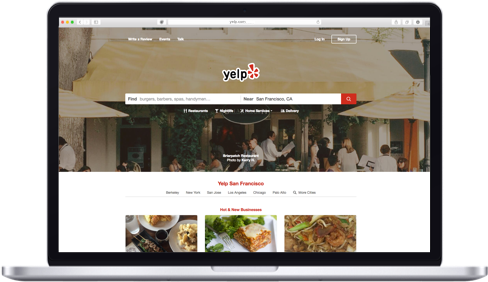 Yelp relies on Fastly’s CDN for caching entire pages, event-driven content (content that changes quickly, such as reviews being edited in real time), and accelerating dynamic assets, like content tailored to individual users. The order in which reviews are shown to users depends on a variety of factors such as recency, user voting, the user’s social connections, and more. Fastly enables Yelp to accelerate this difficult-to-cache content — Yelpers across the globe can enjoy tailored reviews while benefiting from consistent and fast experiences. 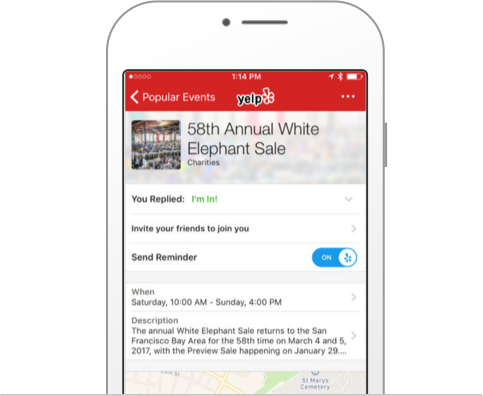 Because Yelp handles personal information (such as names and email addresses) for millions of users, it’s critical they provide secure experiences. They rely on Fastly’s cloud security offerings to terminate Transport Layer Security (TLS) connections at the edge of the network — closer to users, so they don’t experience a drop in performance — as well as secure their business against distributed denial-of-service (DDoS) attacks as they arise. Terminating TLS with Fastly means that Yelp can focus on other business-critical endeavors, helping them scale. Yelp’s engineering culture embraces quick, iterative action. Because Fastly empowers Yelp to easily make configuration changes in real time, their team is able to move fast, facilitating continuous deployment and agile methodologies. Fastly’s real-time analytics — coupled with the ability to make and push configuration changes when needed — helps Yelp be more proactive, identifying and addressing issues as they happen. While Yelp is a consumer-focused company, they’re also a tech company: Yelp CEO Jeremy Stoppelman is an engineer, and their engineering teams consider speed and innovation integral to their culture. They place high value in the fact that Fastly offers not only a highly configurable CDN, but that the support team is extremely knowledgeable and technical.